Holy cow... there is so much going on with this living room. 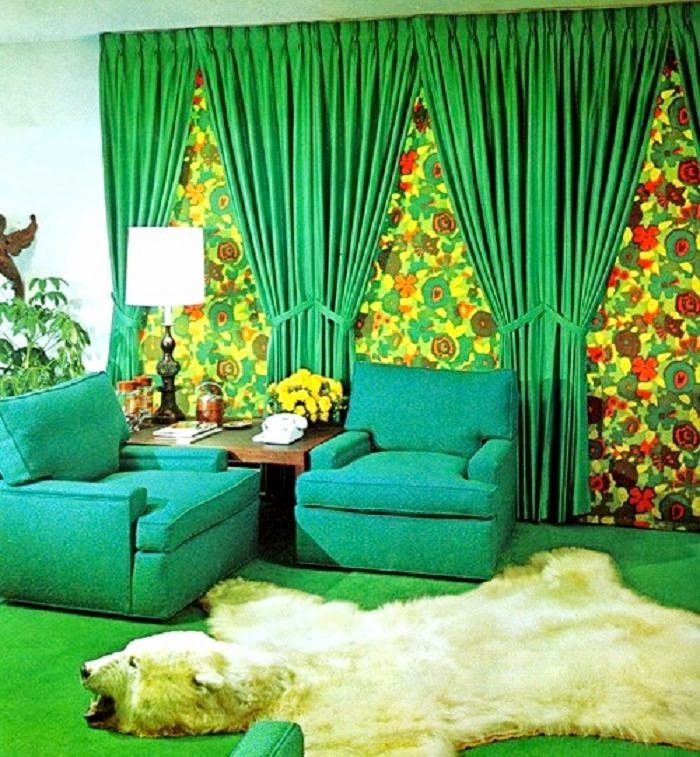 Those floral panels behind the drapes are bold as all get out! But they can't hold a candle to that polar bear rug. Seriously? A polar bear rug? In what other wise is a stunning Mid Century example... of a turquoise living room. Was this a thing and I missed it?